Usnea is a species of lichen that grows downward from tree branches where it gets its nickname Old Man’s Beard. You’ll know you’ve found some when you pull on the strands and they have an almost elastic ability to spring back into place. Some people used to use usnea like you would tinsel to decorate their trees during the holidays. Some people confuse usnea and Spanish moss since they look so similar. This elastic ability is due to the fact that it is high in collagen. In fact, it has one of the most concentrated amounts of collagen in the plant kingdom. Usnea is very sensitive to air pollution and won’t grow where the air is extremely polluted. This is because the plant is very efficient at absorbing pollution and heavy metals. If there is no usnea in your area, or the plants are small then your area is likely high in air pollution. In unpolluted areas, plants can grow up to 8’’ long. This plant is extremely versatile due to the fact that it’s antibacterial, antifungal, antibiotic, antiviral, anti-parasitic, anti-proliferative, antiseptic, immunostimulant, and an inhibitor of biofilm formation. 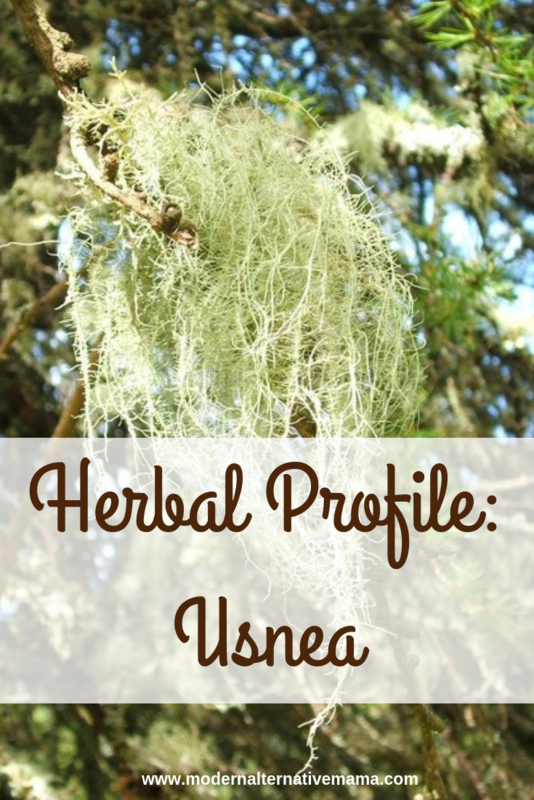 Throughout history, people have used usnea for a variety of ailments due to these qualities. The component in usnea that is useful for these purposes is called usnic acid. Phew! That’s quite the list, but I felt like it was important to include them all because it’s so impressive! Staph infections are notoriously hard for conventional medicine to treat without totally destroying the person’s microbiome, so usnea poses a unique opportunity for treatment. We’re all striving for optimal gut performance so it can be relieving to know that there are alternatives that won’t damage your intestinal health. It’s important to harvest usnea at least 200’ away from any major roadways or high traffic areas because of its pollution absorbing qualities. Look high up into the trees when you’re on the hunt for usnea since it grows from their branches. To unlock this plant’s healing qualities it’s best to use a bit of heat since it’s not very water soluble. You can do this by setting some usnea into a crockpot and covering it with water and then leave it to simmer all day. Strain the particles out and then drink as a tea. Another way to unlock its amazing qualities is to make it into a tincture or use the powder form to make balms and salves. First, take the amount of usnea you will be using and grind it into a powder. Add the alcohol while the mixture is still hot and pour into a dark colored jar. Then shake the mixture vigorously to combine. Let stand for two weeks, shaking occasionally, then strain the mixture and store it out of direct light. Buhner recommends a dosage of 30-60 drops 4x daily, or in acute cases, you can use ½ – 1 tsp, 3-6x per day. Usnea can also be dried and ground down into a powder. Then you can apply it topically to wounds and apply dressing to keep it contained. You can also use the tincture as a nasal spray for sinus infections. Tea can also be made by combining 1 tsp of the plant with 6 ounces of hot water and allowing it to steep for at least 20 minutes. Its effectiveness increases the longer it steeps, so if you can leave it longer – do! As with most herbs and natural remedies its use is cautioned against during pregnancy and while breastfeeding. This is because adequate studies are not available on its safety since testing on pregnant women would be unethical. 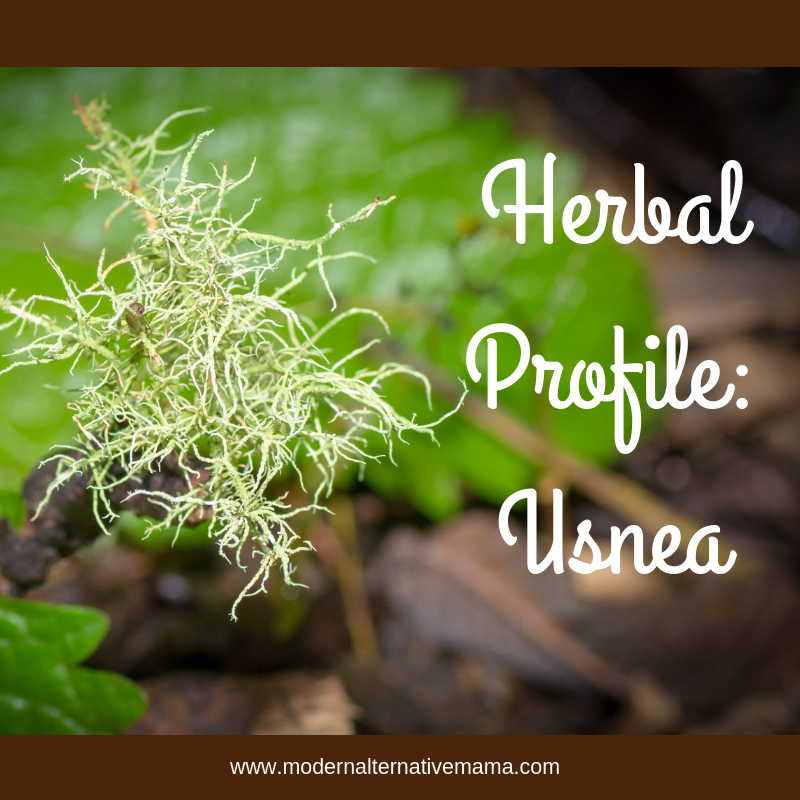 Have you ever used usnea? What part of the country does it grow in? Thank you for bringing this up Janine. I’ve heard about Usnea for a long time but did not know that it can be used in treating the different forms of bacterial and viral infections that you listed.